Well... As I write this I'm sitting on my bed just a few hours after watching the film at my local cinema and I've gotten my answers. Yes, they did it right. Yes, they did it justice. And yes, it affected me as much as the book did. Lord almighty I sobbed and sniffled and laughed, and cried again as the story so many have fallen in love with plays out before your very eyes. I cannot begin to explain just what an experience seeing this movie was. We arrived early and the cinema was already packed, in fact the cinema posted on Facebook earlier that day that it had already sold out! It took us a while to find a set of seats together and once we did, we settled in for the feels! And boy oh boy did we feel! The cinema was filled with laughs, oohs and aahs at the sweet moments and complete hysterical sobbing at the sad moments, in fact one girl behind me sounded like she was about to stop breathing she was crying that much. The performances! Oh boy! I knew Shailene would be amazing because she blew me away earlier in the year as Tris Prior in Divergent and I knew Ansel would be great too because he did an awesome job as Caleb in Divergent, and the fact that he is smoking hot. But I was not prepared for the utter slayage that was about to play out before my eyes. They were perfect. The chemistry was amazing, so palpable and real you could almost taste it. They fit so well together and just look so natural. They were simply amazing. Ansel has such amazing timing that some of the lines that Augustus had in the book make you physically laugh out loud. His timing is so perfect. But it wasn't just the main 2 who were amazing. Laura Dern and Sam Trammell were brilliant as Hazel's parents, Nat Wolff was hilarious as Isaac and had me in stitches during the Night of the Broken Trophies scene. Honestly, if you have read the book, you'll love it. If you haven't, you'll live it just as much. It has to be one of the most beautiful movies I have ever watched. It's poignant, touching and so thought-provoking, just like the book it is based on. I loved the little things, the voice over, the way the film begins, the way text messages and emails appeared on the screen and OMG the ending. THAT ENDING!!! Can we talk about the ending?!?! LORD!!! It was perfect and I had hoped it would end that way since watching the trailer and I have to say I am so happy that that's the way it ended! 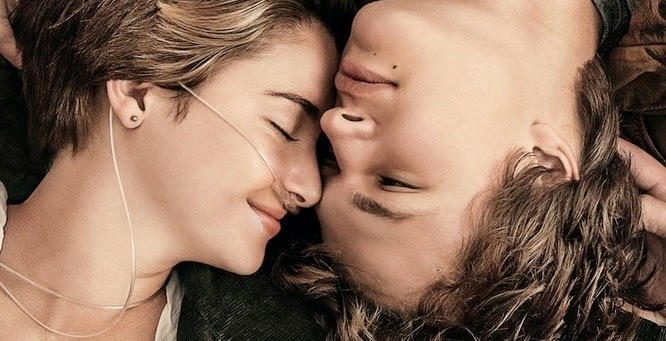 I cannot thank 20th Century Fox, Josh Boone, John Green and all the cast enough for giving us the film of our dreams. It literally is perfect and has to be the closest film adaptation of a book I have ever seen. It is literally the book and I have to say I loved it! I cannot wait to watch it again and again! I'm seeing it again this Saturday (today, if you're reading this because it's just gone live...) and I'm supposed to be going again with another friend. I don't think I'm ready. I wasn't ready the first time and judging by how much I cried I'll be bone dry for a while to come! Bring on the DVD!!! "How do you rid the Earth of seven billion humans? Rid the humans of their humanity. Cassie and her friends haven’t seen the depths to which the Others will sink, nor have the Others seen the heights to which humanity will rise, in the ultimate battle between life and death, hope and despair, love and hate." ARGH! 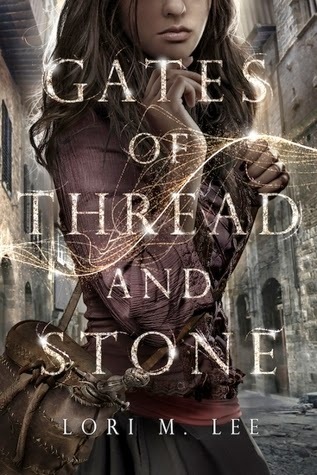 I am both so so ready for this book and in a million ways I am so not ready for it either. The 5th Wave was so chilling and yet so epic there is no way I cannot continue with the trilogy but it scared the life out of me too. And I'm not even joking! I have a ridiculous fear of aliens and that book did not help. 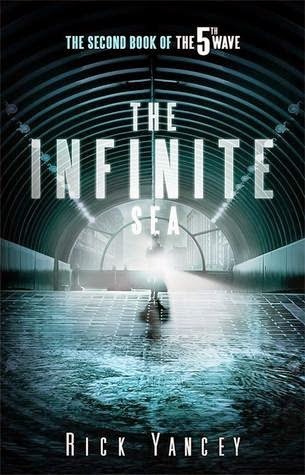 That said I cannot wait and the cover is so so cool too! Official synopsis: "The Murder Complex is an action-packed, blood-soaked, futuristic debut thriller set in a world where the murder rate is higher than the birthrate. Meadow Woodson, a fifteen-year-old girl who has been trained by her father to fight, to kill, and to survive in any situation, lives with her family on a houseboat in Florida. The state is controlled by The Murder Complex, an organization that tracks the population with precision. 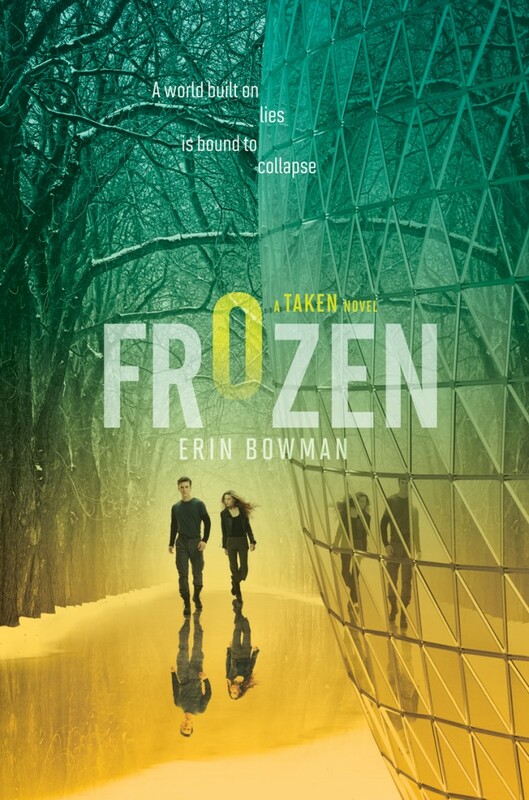 The plot starts to thicken when Meadow meets Zephyr James, who is—although he doesn't know it—one of the MC's programmed assassins. Is their meeting a coincidence? Destiny? Or is it part of a terrifying strategy? And will Zephyr keep Meadow from discovering the haunting truth about her family?" 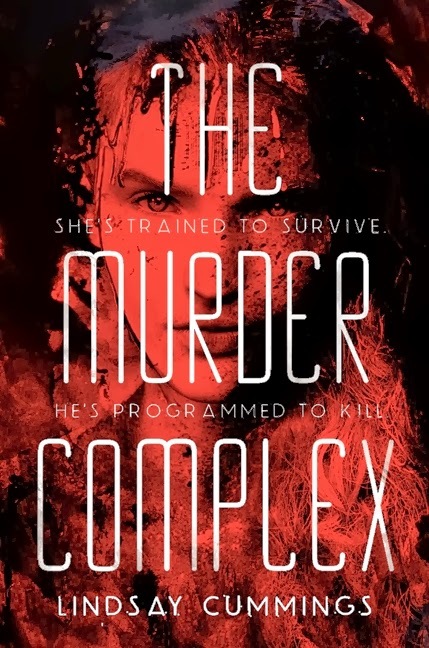 I was lucky enough to get an e-arc review copy of The Murder Complex over Christmas last year and if it had been published last year you would of seen it on my end of year lists because I was absolutely floored once I had finished reading it. It had first caught my attention several months earlier when I came across Lindsay's twitter account and saw her tweeting and I had seen a book called The Murder Complex on Goodreads and thought it couldn't be a coincidence... A little bit of research and I read up on the main idea of the book and I was sold instantly so when I got a copy thanks to Edelweiss I was beyond excited hence why I started to read it straight away and fell in love with the world captured within its pages. Right from the off you're transported into the bloody world of murders, dead bodies lying in the street just waiting to be carted away, a fight to survive and the Initiative. The Murder Complex is told from two points of view, alternating every chapter between the feisty and ruthless Meadow, and the Jekyll and Hyde-esque Zephyr who is sweet and normal just like every other boy one second, and becomes a blood thirsty killing machine the next with a simple flick of a switch. Some will love the way the narrative changes every chapter and some might find it jarring but personally I'm in the former camp. I loved it. I loved that every chapter you're somewhere different within the Florida Everglades where the book is set. It was already great getting to see people that are so different from each other, a contrast I really liked. Meadow has been trained by her father to survive. The world in which we're drawn into in The Murder Complex is a world where the murder rate is higher than the birth rate, the population cannot keep up and bodies spill into the streets as the wards struggle to keep up with carting them away. That's what Zephyr is. A ward. He's determined to stay out of trouble, just keep his head down and get on with things. He has no family, just his friend Talan so does what he can to get by. Something else I loved about the dual narrative is that when things got really going and you're thrust right into the action, the fact that the next chapter could be completely different meaning you have to read a whole chapter before you can see what's going to happen next simply has you racing through the pages at break-neck speed to see what on earth is coming next. I'm a big sucker for anything dystopian and The Murder Complex did not disappoint. The Murder Complex itself and the Initiative had me reeling as revelation after revelation came knocking me for six and demanding that I turn the pages quicker to see where it was all heading. At the time of reading the book I wasn't sure if it was a one off or part of a larger series and I have to say upon finishing this book, quite early in the morning if memory serves me correctly, that I was chomping at the bit to read more. It felt like there was more to be told, that the bits and pieces that were hazy, missing, still needed to be elaborated on. And thankfully it looks like we'll get the answers we are craving! Earlier this month, The Fear Trials, a prequel novella was released and Lindsay announced a few months ago that had handed in the second Murder Complex book to her editor and I couldn't be happy. I've seen some reviews that they weren't happy with the romance in the book and whilst I have to say I prefer my books to be romance free, especially if it's going to soppy, but I liked it here. It felt well placed and gave a good contrast to the dark, gritty and bloody world. You needed a few lighter moments here or there to give you a moments peace, a deep breath, before it all kicked off again. A word of warning for those that are squeamish... There is blood and lots of if in the book. I personally found it so disturbing that people just go around killing one another. It's dark, scary and twisted and at times some of the deaths were so violent I would find myself holding in a breath in the hope that it'd pass and I could continue. Some scenes left me breathless, gasping for air as I saw them all play out in my minds eye. These scenes were so well written and crafted in such a manor that they leave a lasting imprint on you that lasted several pages after you'd read it and just showed just how dark the world has become. All in all I have to say that I think this book is a stunning debut. It's well-written, fast paced, chock full of action sequences that will have readers racing through the pages. It's honestly one of my favourite books I've read this year, even though I read it last year... But it's published this year, so it counts! Haha. Just go get it! It doesn't currently have a UK publisher but it is available on Amazon both for Kindle and hardback imported from the US of A which I've seen pictures of and it looks stunning. I cannot wait to get my copy and I cannot wait to see what's next in store for Meadow and Zephyr! The Murder Complex is out TODAY! So go and check it out! Thank you to Edelweiss and the HarperCollins US team for allowing me to read such an awesome book! Official synopsis: "Sixteen-year-old Clary Fray is an ordinary teenager, who likes hanging out in Brooklyn with her friends. But everything changes the night she witnesses a murder, committed by a group of teens armed with medieval weaponry. The murderous group are Shadowhunters, secret warriors dedicated to driving demons out of this dimension and back into their own. Drawn inexorably into a terrifying world, Clary slowly begins to learn the truth about her family - and the battle for the fate of the world." I have to begin by saying that when I sat down to start reading this book I definitely had my doubts. I'm obviously a latecomer to the series, this book was published 7 years ago this Summer, so it's had it's time to build up a massive audience and devoted following as well as a bucket load of hype. The film even came out last year adding the the hype, and hype as I said in my review for We Were Liars by E. Lockhart can be a very funny thing. It can go one of two ways. It can be undeniably justified and on the other hand it can be totally misplaced and un-warranted. 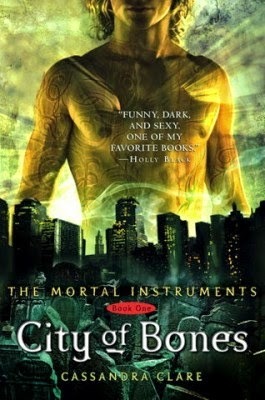 But with City of Bones the hype is so so so justified. In fact, once I started to read the book I had to beg myself to try and explain to myself just why I left it so damn long to pick this book up! I've actually owned a copy of the book for well over a year now. I bought a lovely boxset of the US hard covers from America. It had the first five books of the series in it and they are all stunning to look at but for one reason or another I just never picked the books up and actually started to read. And I have to say I wish I had done it so much sooner because once I actually started reading City of Bones I well and truly fell in love. With the world, with the characters, with Manhattan, with Jace. I just fell head over heels for this book as it reeled me in to a world of Shadowhunters and demons and vampires and warlocks and Magnus and werewolves and so so so much more. In fact I don't think there wasn't a single page went by where there wasn't something that I picked up on that I loved. Cassandra's writing style is also brilliant. 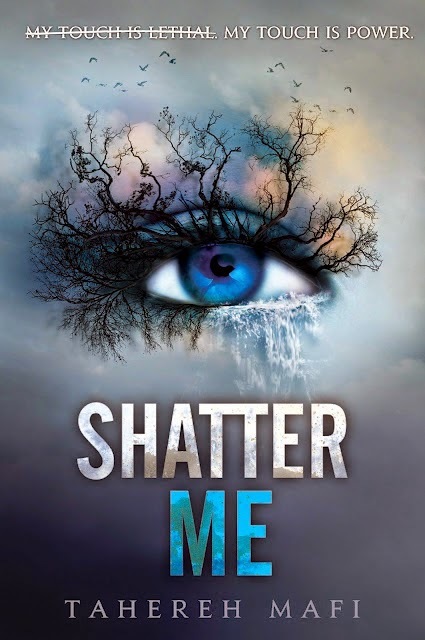 It's so well written, so fluid that it hardly requires any effort on the readers part to follow the story as Clary tries to find out why her mother was taken and where she has been taken to. Everything is described in crystal clear clarity and it's so mesmerising I'd find myself fighting to come up for air between chapters, I just wanted to keep reading and not stop, regardless of the fact that I actually had work to go to which was pretty darn annoying! It's just one of those books that is truly and irresistibly un-putdownable. The characters are also just as lovable as the book itself. Clary is feisty when she needs to be and I really liked her. I also liked the Shadowhunters we meet in City of Bones, Alec, Isabelle, and in particular and Mr. Jace Wayland who is more than a little bit swoon-worthy. The book rattles along at such an incredible pace that you just don't want to stop reading and there are revelations that when I read them you could of knocked me over with a feather. Things I had absolutely no idea whatsoever were going to happen, nothing I've seen people speak about online and I for one have to say I am thankful to the fans of this book. They obviously respect the story so much and its impact on new readers that come to the series all the time, just like me, and wanting them to have the same sort of experience they had of reading the books. I have to say that I cannot wait to throw myself headfirst back into the world of the Shadowhunters in the next few weeks when I read City of Ashes. I am determined to read the entire series over the next few months, in fact my copy of City of Heavenly Fire which closes the series, and is an absolute beast of a book size-wise, came only a few days ago and has me itching to race through the four books that stand in between City of Bones and itself. I cannot wait! 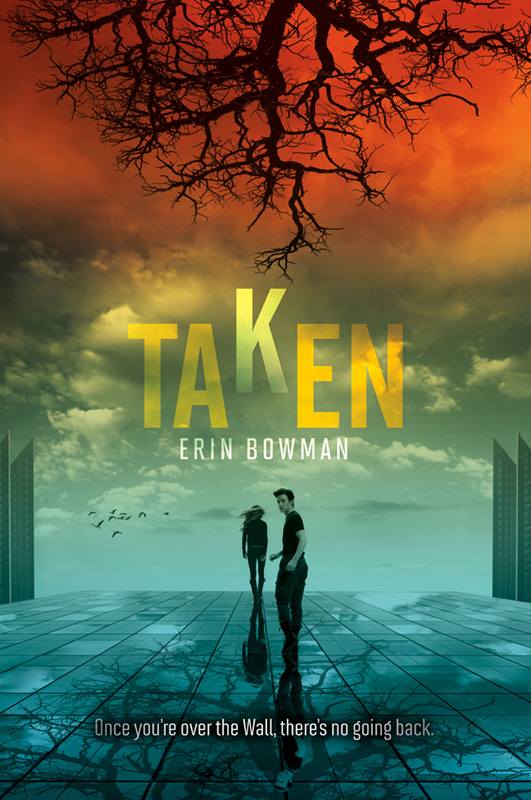 "Two years before Beatrice Prior made her choice, the sixteen-year-old son of Abnegation’s faction leader did the same. Tobias’s transfer to Dauntless is a chance to begin again. Here, he will not be called the name his parents gave him. Here, he will not let fear turn him into a cowering child. From #1 New York Times bestselling author Veronica Roth comes a companion volume to the worldwide bestselling divergent series, told from the per-spective of the immensely popular character Tobias. 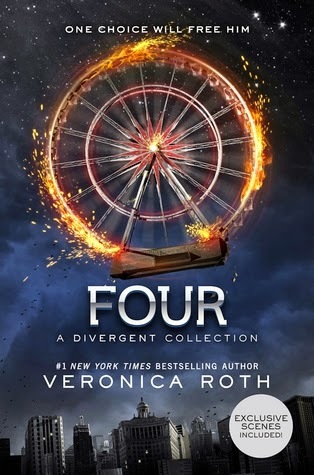 The four pieces included here—The Transfer, The Initiate, The Son, and The Traitor—plus three additional exclusive scenes, give readers an electrifying glimpse into the history and heart of Tobias, and set the stage for the epic saga of the Divergent trilogy." I fell completely head over heels in love with the Divergent trilogy as any long term followers of my blog will know. I was lucky enough to get a early proof copy back in 2010 before the book came out and since then I have been a mega fan of all things Roth and a certain Mr. Tobias "Four" Eaton. So this book is going to be right up my street, I just know it. The only problem I have is that this is the US cover so it'll take a bit longer to get to me but I have to have the US cover so it matches my hardbacks I also got from America because those covers slay! Flaw free! I am so excited! Roll on July! Only another month!!! Written by: Liz de Jager. Official synopsis: "Kit is proud to be a Blackhart, now she's living with her unorthodox cousins and sharing their strange lives. Especially since their home-schooling includes spells, fighting enemy fae and using ancient weapons. But it's not until she rescues a rather handsome fae prince, fighting for his life on the edge of Blackhart Manor, that her training really kicks in. With her family away on various missions, Kit must protect Prince Thorn, rely on new friends and use her own unfamiliar magic to stay ahead of Thorn's enemies. As things go from bad to apocalyptic, fae battle fae in a war that threatens to spill into the human world. Then Kit pits herself against the Elder Gods themselves - it's that or lose everyone she's learnt to love. I'm going to start of by saying that generally I am not a big fan of all things fae. Fairies. But Banished has turned me into a complete convert! It's the first book in the Blackheart Legacy trilogy which is set to see a second book published this November, Vowed, and the third and final book next year some time. You can see the cover above and you can see for yourself just how beautiful, eye catching and original it is. Definitely one of my favourite covers I've seen released this year so far! Anyway, back to the book! Liz is something of a legend in the world of Book Bloggers. For years she ran My Favourite Books which only closed it's reviewing doors last year as Liz was in the middle of making the transition from one side of the fence where all the Bloggers are, to the other where all the authors are. Personally it's been very exciting to watch Liz's transition. I make no secret of the fact that I would love to be published one day - it's been my dream for years - and watching one of our very own do it is so inspiring and so damn cool. But there was some trepidation for me going into this book. With Liz being such a prolific blogger and reviewer one does have to wonder if a reviewer would take notice of their own advice or learn from their experiences of reading countless review copies and know exactly what they need to do to get the reader right where they want them. I wondered if the transition could work. And boy oh boy it works. Banished is fast paced, hugely entertaining and down right fun to read. It had me racing through the pages wanting to see what was going to happen next. It's so action packed that I would force myself sometimes just to take a minute or two to allow my mind to calm down and to breathe as I tried to process what was going on. This was helped by little snippets at the beginning of each chapter that gave an extra insight into the world, be it a place or a creature. 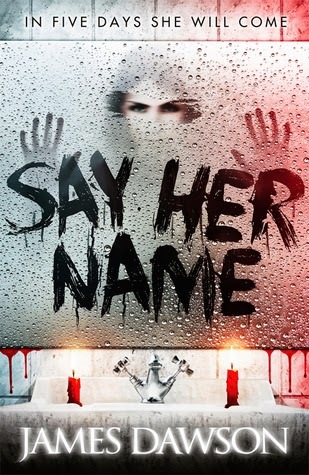 These snippets were great fun and so clever and well done that I wanted more more more! 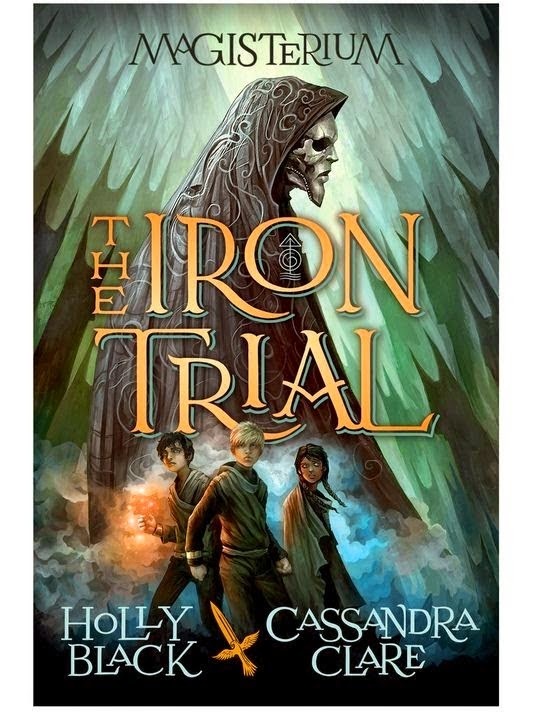 I hope this is something that continues throughout the remaining two books of the trilogy because I found them to be a great little addition to what is already an awesome books. The characters are great too, Liz has assembled a stellar cast. Kit herself is feisty, strong willed. And then we have Thorne. Fae royalty, who is something of an enigma. He's guarded, careful what he gives away, and yet there's something about him that just draws you in. I also loved Kit's cousins who had me laughing at times, I have to admit. 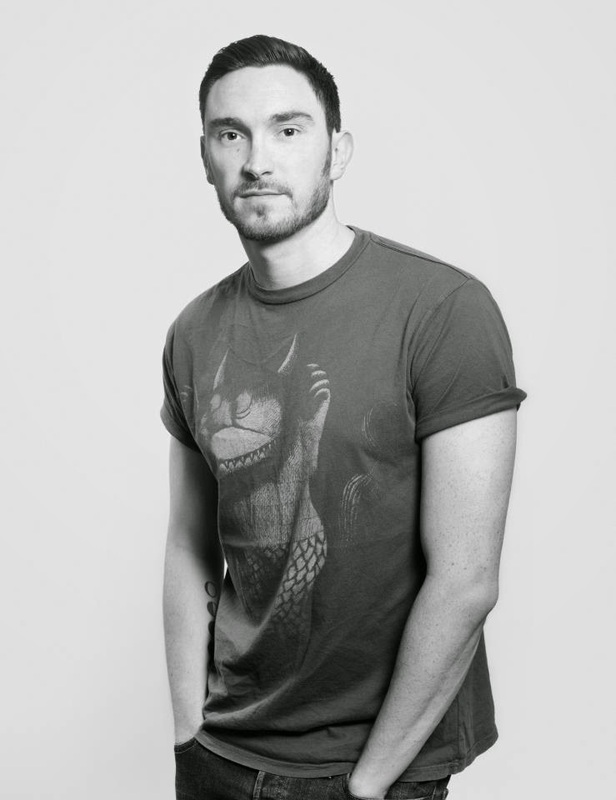 A big part of the cast are of course the creatures known as Fae. So many different supernatural creatures lie in wait and it's great fun to see some re-imaginations of famous or well known creations. The world of the Fae is so well thought out that you can just imagine Liz sat in her home, listening to her playlists she loves and plotting it all out, working out this thing or that thing and making sure it all slots together. Reading the book you can feel the hard work that has gone into it. The book just oozes pure determination on her part. I'm not going to say too much about the plot of the book simply because it's one of those reads where you just can't really summarise it without either giving things away or just ranting on and on and on, basically retelling the book just shaving off a large chunk of the word count. 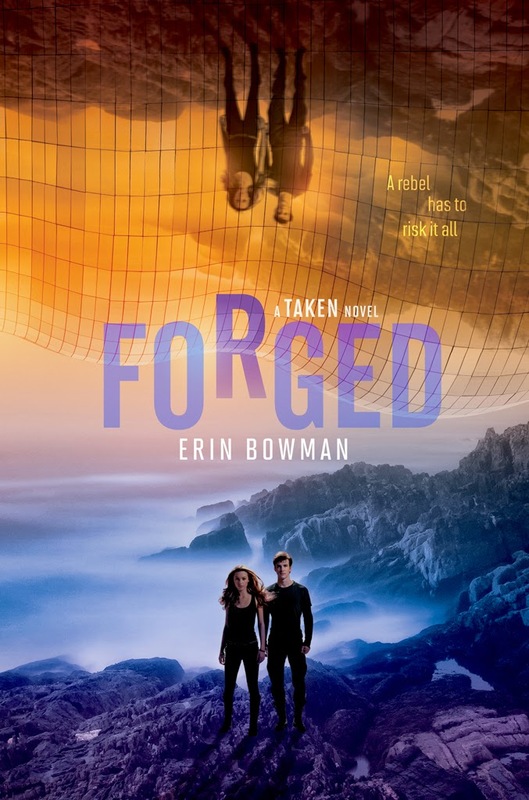 All I can say is that once I started I didn't want to stop and it saddens me that there are still six months to go until we can see what happens next in Vowed. I for one cannot wait. I'm absolutely chomping at the bit to dive back into this incredible world. 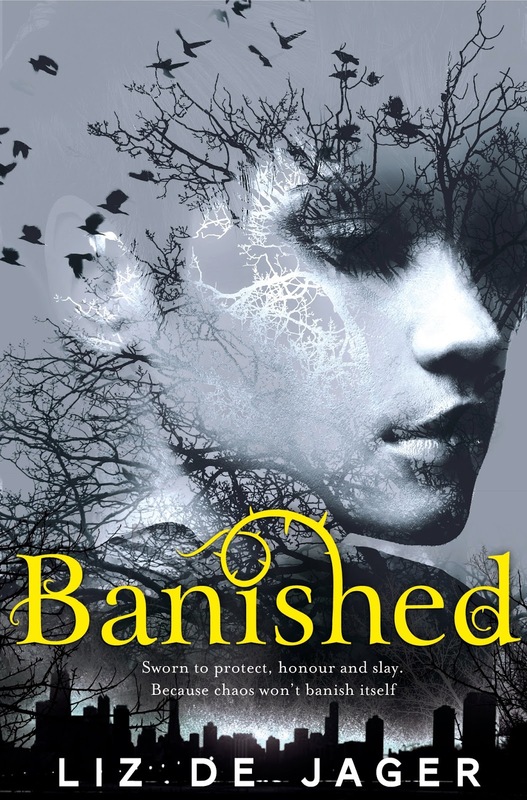 If you haven't yet read Banished, make sure you get that sorted out ASAP. It's unacceptable!